We are at the lookout by the Arataki Visitor Centre, at about 400 metres above sea level. 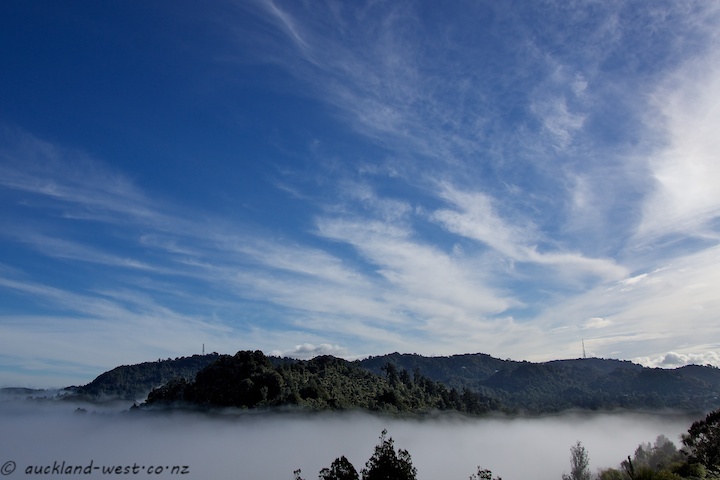 Below us the solid fog that dominated the weather on the southern fringe of the Auckland isthmus yesterday, in the distance the ridges of the Waitakere Ranges, and a blue sky with white clouds tops it all off. I looked at the next post as well, the lashings. That is very detailed work, and beautiful!! Such a novel way of bringing history into a new building!